Packaging: 36 pack, 10-card Hobby waxboxes; 10 pack, 10-card Blasters. Design based on the 1934 Goudey set. One year after screwing over set builders with a factory set, collectors take it in door number two again after it is discovered that the first 100 cards in the base set are short-printed. Fleer never mentioned anywhere in run-up to Tradtion's release that there were any SPs. First Update set released in pack form since 1996. Largest Fleer Update set ever. First 100 cards in set short-printed, but at least Fleer had the courtesy to state that they were SPed. Designs and names of most inserts were recycled from the base set. Packaging: 24 pack, 10-card Hobby packs; 10 pack, 10-card Blasters. 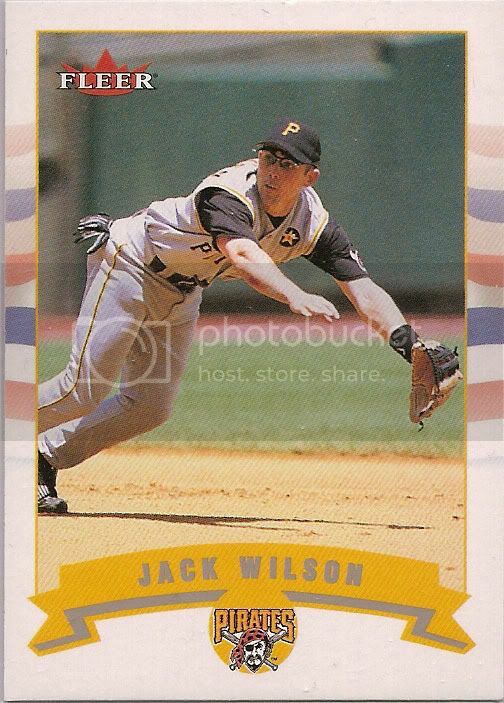 A one-off product, 2002 Fleer is not considered to be part of the Fleer/Fleer Tradition "lineage." Despite this, many collectors consider this set to be a superior product to 2002 Fleer Tradition. Hobby exclusive Rookie Sensations and retail exclusive Rookie Flashbacks have the same 20-card checklist. Barry Bonds Career Highlights use the same design as the 1992 Roger Clemens Career Highlights insert.